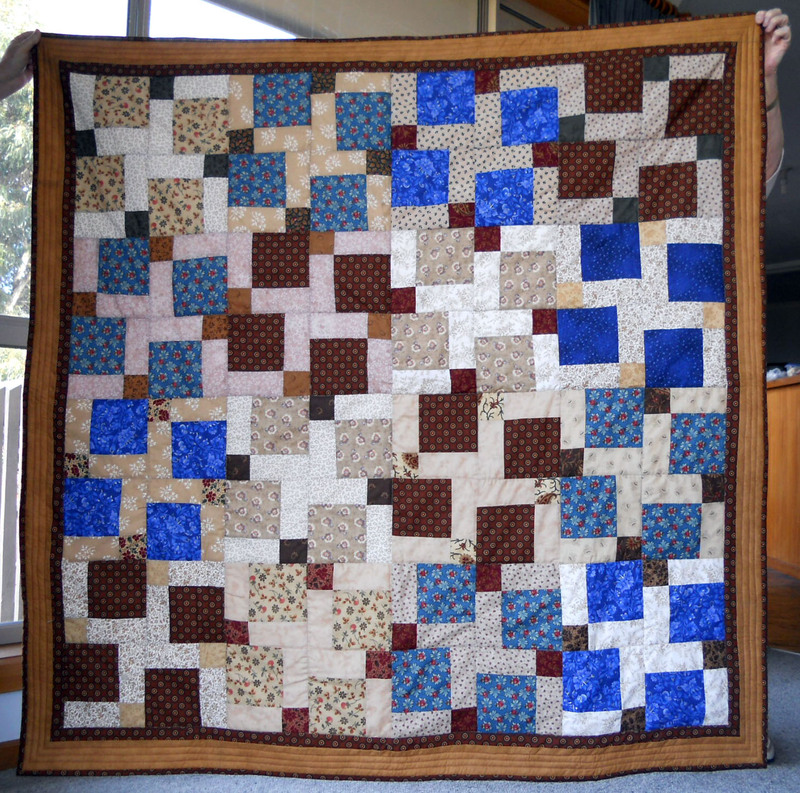 I finished the quilt this week and it doesn't look too bad as long as you don't look too closely. With winter approaching it has a warming look. I still have a way to go in mastering straight machine quilting though. I like the effect of the parallel rows of stitching on the border. I think it looks great! 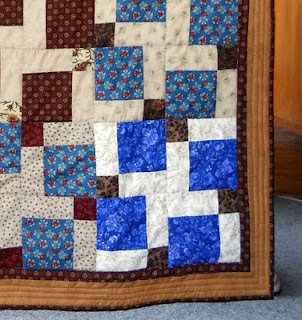 We did one like this for our small group and I was going batty as all the fabrics were blues. I couldn't see the pattern and so I couldn't help lay them out. But when they sewed it all together, it was nice. It was donated to the cancer center and I know someone will love it.